With a very heavy broken heart and an ocean of tears shed, we said good bye to our beloved Zac. 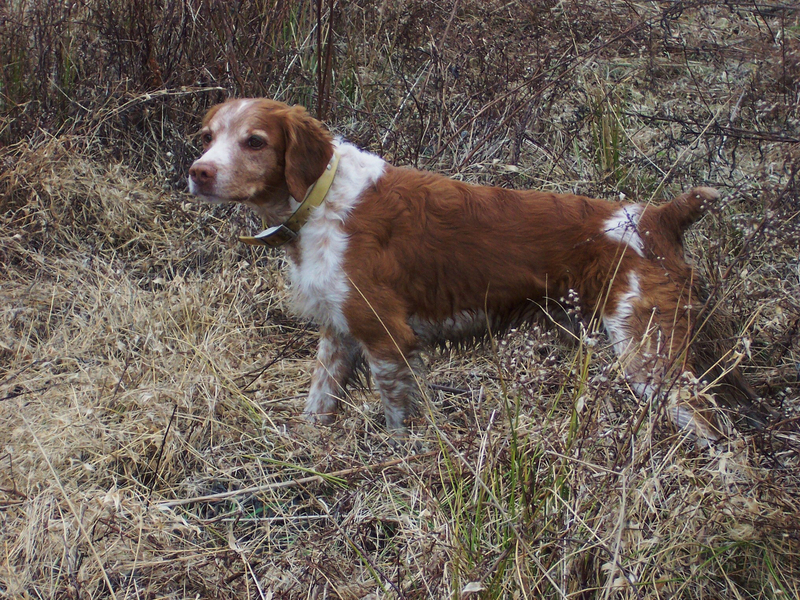 It was time for him to leave us and cross over Rainbow Bridge to join Addie and Dawn. Zac was one of eight puppies that was the last to be chosen and to my absolute delight got to live with us for almost 16 Years. 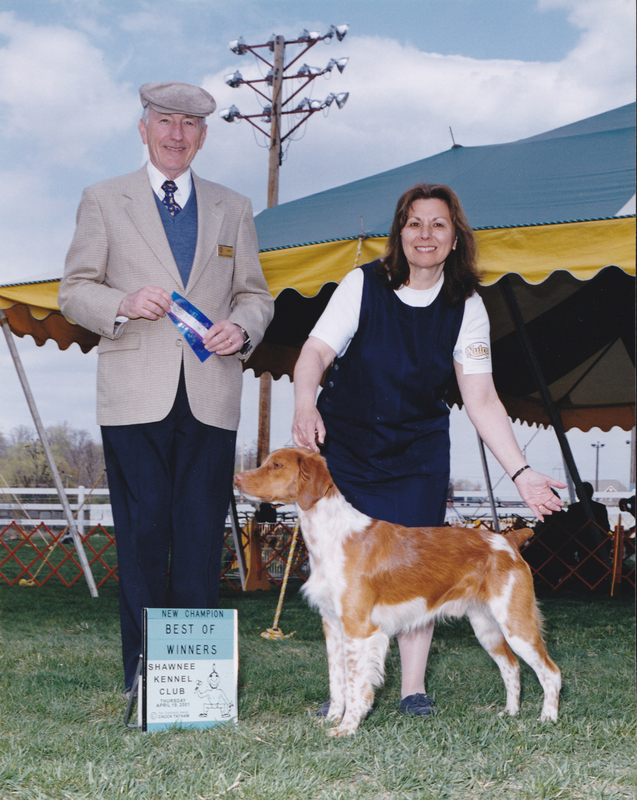 Bob and I were the breeders, owners and handlers….Bob in the field and me in the breed ring (shown exclusively in the Bred by Exhibitor to his championship in 2001). 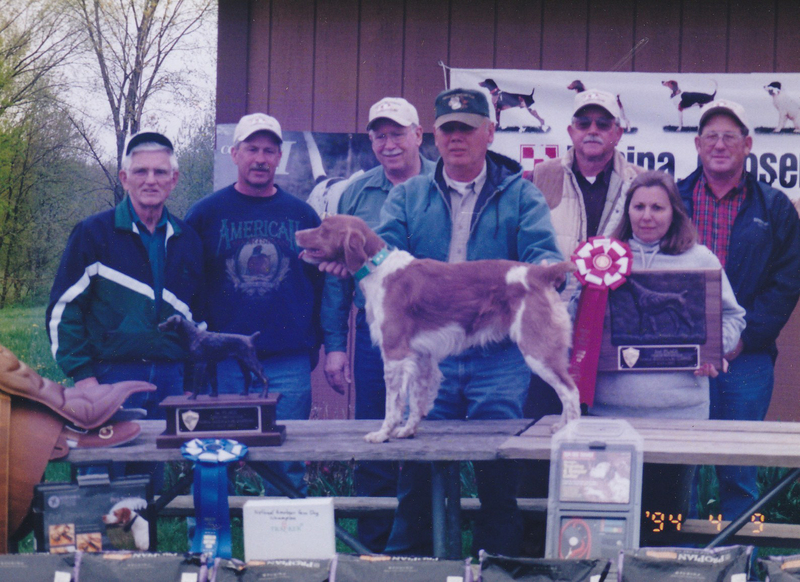 His accomplishments: Winner of Magnum's Masked Man Top Gun Dog Award 2002(#1 Gun Dog USA), National Amateur Gun Dog Championship 2002 placed 2nd and RU American Field CH, National Gun Dog Championship 2002 placed 3rd, Winner of Mid-South Gun Dog Challenge 2000-2002, & 2002-2003 & 2005-2006,ABC #2 Juvenile Field Winner 1998, Placed 3rd in Southern Open Brittany Championship Derby Classic 1999, NVBC Jim Lee Trophy 2003, NVBC Juvenile Field Dog of the Year 1998 & 1999, NVBC Show Dog of the Year 1999, NVBC Adult Field Dog of the Year 2001& 2002 & 2004 & 2005 & 2008, NCFTA Brittany of the Year 2001-2002 & 2005-2006, American Field CH Winner PA Shooting Dog Championship 2004, AFTCNJ Brittany of the Year 2003-2004, Over 60 Placements in OGD and AGD stakes with 30 combined First Placements. 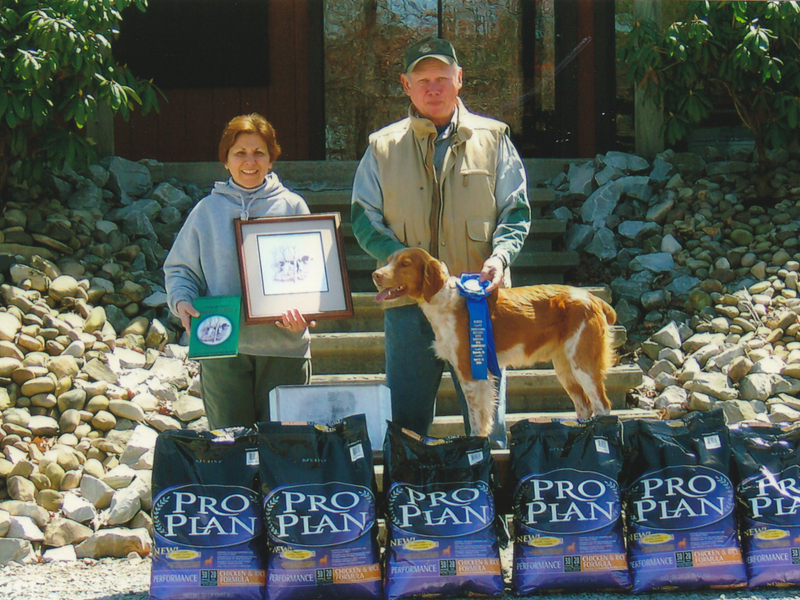 He sired 1 Dual Champion, 3 Champions, 4 Field Champions, 4 Amateur Field Champions, 3 American Field Champions, 1 Senior Hunter, 5 Junior Hunters. We have been told many times by folks what a joy it was to watch Zac work in the field. Bob and Zac complimented each other and had the judges sitting up in their seats many times enjoying the show. Most of all he was our companion and we loved him dearly. 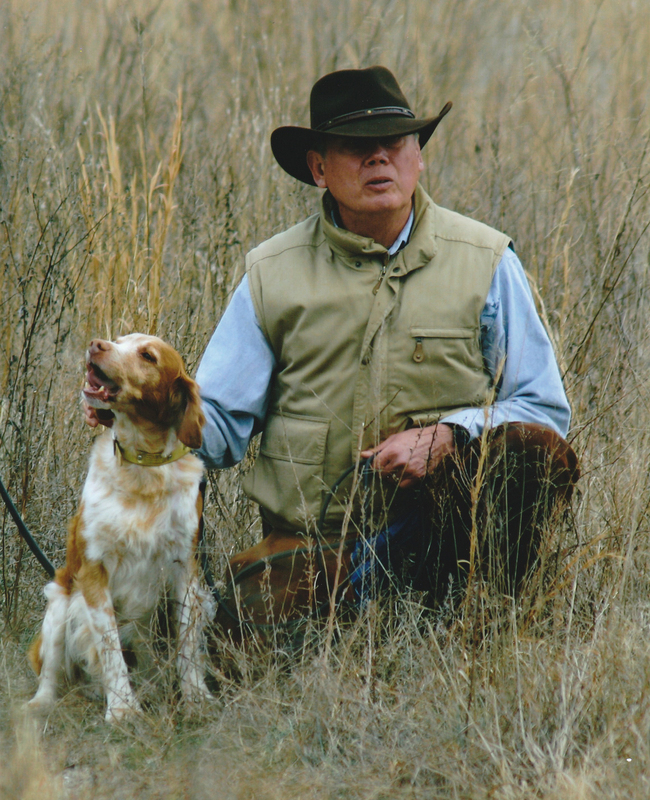 He was powerful in the field, stylish on his birds and a tuff competitor. Yet, a loving gentle dog who loved to have his ears rubbed. Thank you, Zac, for everything you taught us and gave to us especially your eternal love and trust. You have touched our hearts in a way I can’t ever describe. We will be together again at Rainbow Bridge someday but until then we love you forever and never forget. You will always remain in our hearts forever.